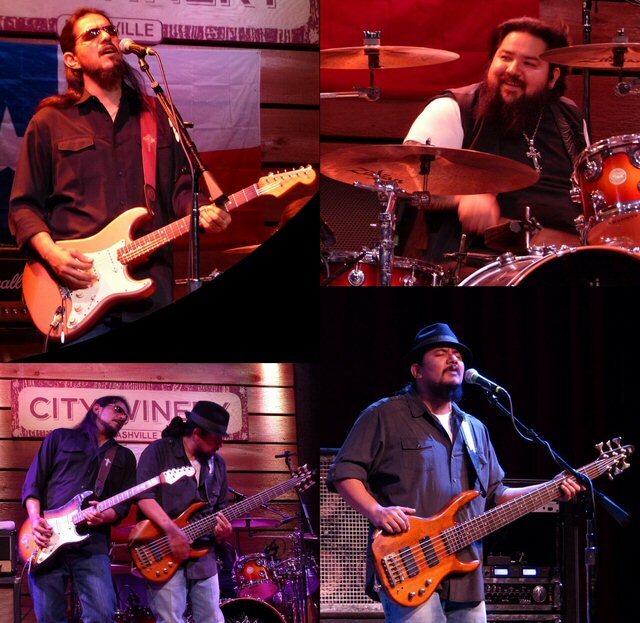 The Los Lonely Boys (LLB) have cracked the seal on the latest leg of their ongoing Revelation tour. 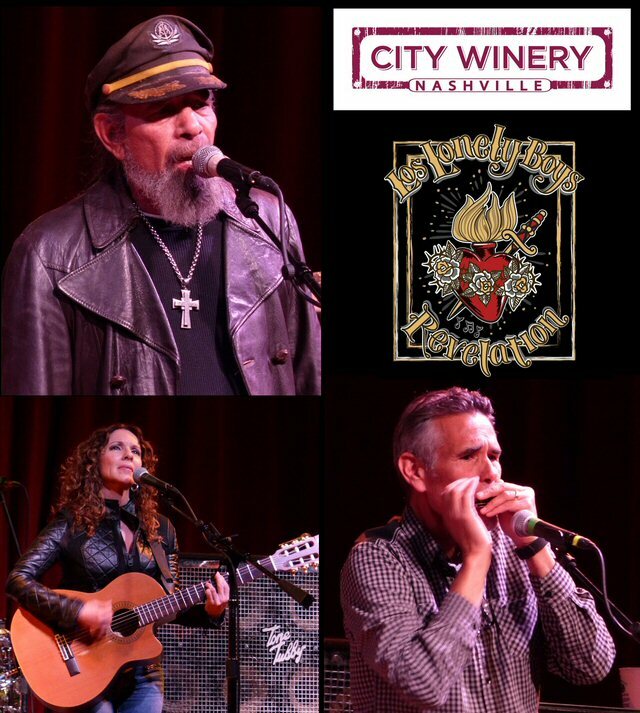 The trio left the acoustics behind in Franklin (TN), returning to electric for an enlightening evening of Texican blues at the City Winery in Nashville on March 15, 2018. The event turned into an extra special family affair as Enrique “Ringo” Garza Sr. the man who literally gave birth to the boys and propelled the troupe to musical greatness was in the house. 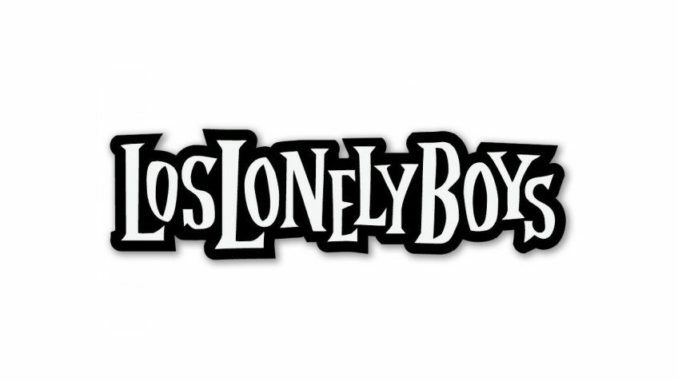 The Los Lonely Boys are actually a second generation sibling group following in the footsteps of their father and his brothers who played conjunto as the Falcones before the elder Garza formed a band with his sons. LLB were still in their teens when they moved to Nashville in an effort to kick off their career but their big break came after they returned to Texas. Back in the Lone Star State they performed at Austin clubs in the early 2000s. One lucky day, Willie Nelson’s nephew heard some demos that resulted in Willie showing up at a gig. Apparently he liked what he saw so Nelson showcased LLB at Farm Aid, fronted recording time at his famed Pedernales Studio and even guested on their album. A little later their single “Heaven” would hit number one giving them the fame that LLB had labored so hard for. The lineage still brings a strong work ethic to their live shows as revealed at the City Winery on Thursday night. The Garza brothers – vocalist/guitarist – Henry, bassist/vocalist – Jojo and drummer/vocalist – Ringo released Revelation in 2014. The 12-track collection maintains the infectiously melodic mix of bluesy rock and rootsy soul that has long endeared the Los Lonely Boys to their faithful following. Heavenly harmonies paired with sizzling solos remain consistent but in these songs, they explore rhythms from conjunto (“Blame It On Love”) to reggae (“Give A Little More”), along with rustic acoustic textures (“It’s Just My Heart Talkin'”) and baroque pop shadings (“There’s Always Tomorrow”). Connect they did at the City Winery. With thanks to God the Father and a greeting to Music City they were off and running with a mix of beguiling blues with a Tex-Mex flair. Much of the set featured music from Revelation including a snappy “Blame It On Love” and the seductive “So Sensual” propelled by Ringo’s rock solid drumming. Henry was on fire as Jojo maintained a strong bottom throughout as they expanded some of their tunes with energized jamming. At times it sounded like the brothers had conjured up the ghost of fellow Texan Stevie Ray Vaughan. Rolling Stone states that “the Latin instrumentation and English, Spanish and “Spanglish” lyrics on Lisa Morales’ thoroughly entertaining sophomore album Luna Negra and the Daughter of the Sun emphasize the impact of her upbringing, yet it’s impossible not to hear the Americana and country-music influence that has made Morales one of the most multifaceted artists to watch in 2018.” The respected music publication aptly described the well-received set that Lisa presented at the City Winery in support of the Los Lonely Boys. Opening acts at the up-scale urban City Winery enjoy the benefit of it being a listening room. Most patrons are respectfully of the venue’s policy to keep conversations to a minimum during live performances. Doors generally open two hours before a show so there is plenty of time to enjoy fine food, drinks and chat before a concert. In Nashville, Morales was able to share her insights and songs sung both in English and Spanish to an attentive audience and she likely won some new fans on Thursday with her engaging set. The City Winery continues to expose a wide selection of music ranging from blues, country, rock, soul and more in both their main room and lounge. 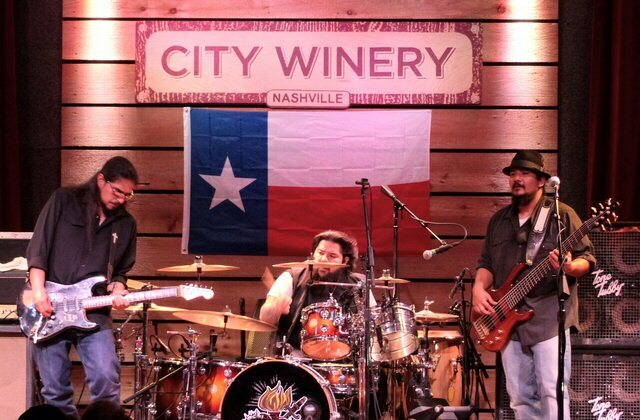 The venue supports major touring acts such as the Los Lonely Boys along with local musicians. More from the show – Enrique “Ringo” Garza Sr., Tim Gonzalez and Lisa Morales. We were at the show and ran into Mr. Garza in the parking lot after the show. He is a super nice guy, easy to talk to. Can see where the kids get it from. Oh yeah, the show was great!